Nice app, a ps3 division leader will get you a tryout soon. Status : Playin bass for my band whenver i'm not gaming. Status : The greatest form of control is when you think you're free when you're being fundamentally manipulated and dictated to. One form of dictatorship is being in a prison cell and you can see the bars and touch them. 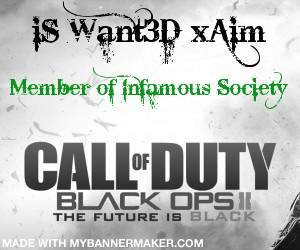 Me or another PS3 div leader will get you your tryout soon.